The Flex System EN6132 2-port 40Gb Ethernet Adapter and Mellanox ConnectX-3 Mezz 40Gb 2-Port Ethernet Adapter in conjunction with the EN6131 40Gb Ethernet Switch offer the performance that you need to support clustered databases, parallel processing, transactional services, and high-performance embedded I/O applications, which reduces task completion time and lowers the cost per operation. This product guide provides essential presales information to understand the Mellanox adapters and their key features, specifications and compatibility. This guide is intended for technical specialists, sales specialists, sales engineers, IT architects, and other IT professionals who want to learn more about the adapters and consider their use in IT solutions. The EN6132 and ConnectX-3 adapters can help you achieve efficient computing by offloading protocol processing from the CPU and data movement impact, such as RDMA over Converged Ethernet and Send/Receive semantics, which allows more processor power for the application. The EN6132 2-port 40Gb Ethernet Adapter is shown in Figure 1. The 40 Gb Ethernet solution that is offered by Flex System can deploy more workloads per server without running into I/O bottlenecks. If there are failures or server maintenance, clients can move their virtual machines much faster by using 40 Gb interconnects within the chassis. 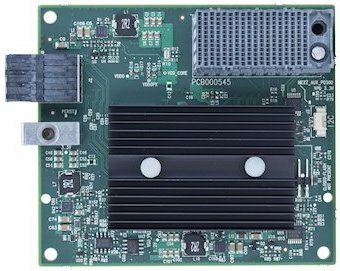 The 40 GbE switch and adapter are designed for low latency, high bandwidth, and computing efficiency for performance-driven server and storage clustering applications. They provide extreme scalability for low-latency clustered solutions with reduced packet hops. Table 1 shows the part numbers for ordering the adapters. Support for IEEE 802.1p and IP DSCP/TOS traffic processing based on the class of service. Support for 802.3x flow control. Congestion Notification (IEEE Std 802.3Qau) limits the transmission rate to avoid frame losses in case of congestion in the network. 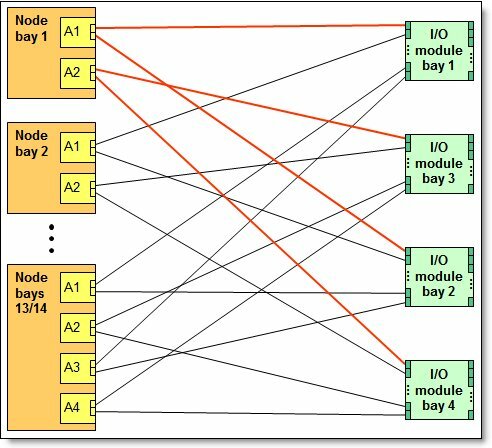 Priority-Based Flow Control (PFC) (IEEE 802.1Qbb) extends 802.3x standard flow control to allow the switch to pause traffic based on the 802.1p priority value in each packet’s VLAN tag. Enhanced Transmission Selection (ETS) (IEEE 802.1Qaz) provides a method for allocating link bandwidth based on the 802.1p priority value in each packet’s VLAN tag. The following table lists the ThinkSystem and Flex System compute nodes that support the adapters. The EN6132 2-port 40Gb Ethernet Adapter supports the I/O modules that are listed in the following table. Other I/O modules: Other I/O modules that are not listed in Table 3 are not supported. 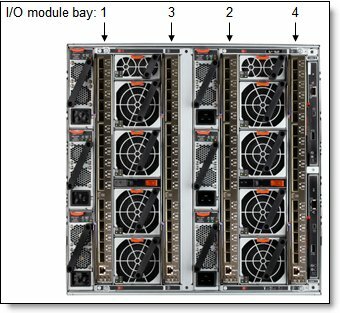 The supported I/O modules are installed in the I/O bays in the rear of the Flex System Enterprise Chassis, as shown in the following figure. The connections between the EN6132 adapters that are installed in the compute nodes to the supported I/O modules that are installed in the chassis I/O bays are shown in the figure below. The figure also shows both half-wide compute nodes, such as the SN550 with two adapters, and full-wide compute nodes, such as the SN850 with four adapters. The adapters can be installed in slots A1 and A2 of the half-wide compute nodes (such as x240 M5 and SN550), and slots A1, A2, A3, and A4 of the full-wide compute nodes (such as x440 and SN850). A supported Ethernet I/O module must be installed in the corresponding I/O bay of the chassis (bays 1 and 2 when the adapter is installed slot A1 or A3 or bays 3 and 4 when the adapter is installed in slot A2 or A4). In the compute nodes that have an integrated dual-port 10 GbE network interface controller (NIC), NIC ports are routed to bays 1 and 2 with a specialized periscope connector, and the adapter in slot A1 is not required. However, when needed, the periscope connector can be replaced with the EN6132 adapter. In such a case, integrated NIC is disabled. The following table shows the connections between the adapters that are installed in the compute nodes to the supported I/O modules that are installed in the chassis. The adapters are installed in slots in a supported compute node. The following shows the locations of the slots in the x240 Compute Node. The positions of the adapters in the other supported compute nodes are similar. Operating system support may vary by server. For more information, see ServerProven at http://www.lenovo.com/us/en/serverproven/. Select the server in question, scroll down to the adapter, and click the + icon in that row to show the supported operating systems. The adapters have a 1-year, customer-replaceable unit (CRU) limited warranty. When installed in a supported server, these adapters assume the server’s base warranty and any Lenovo warranty service upgrade.